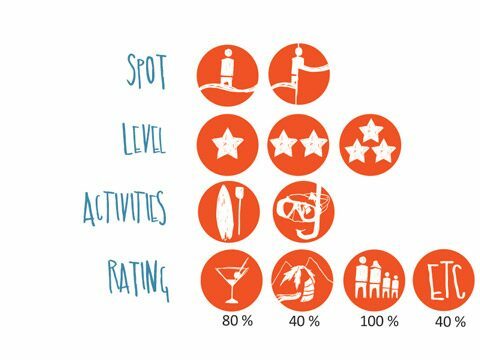 Lots of wind, empty spots, exciting nightlife or a relaxed barbecue? The choice is yours! 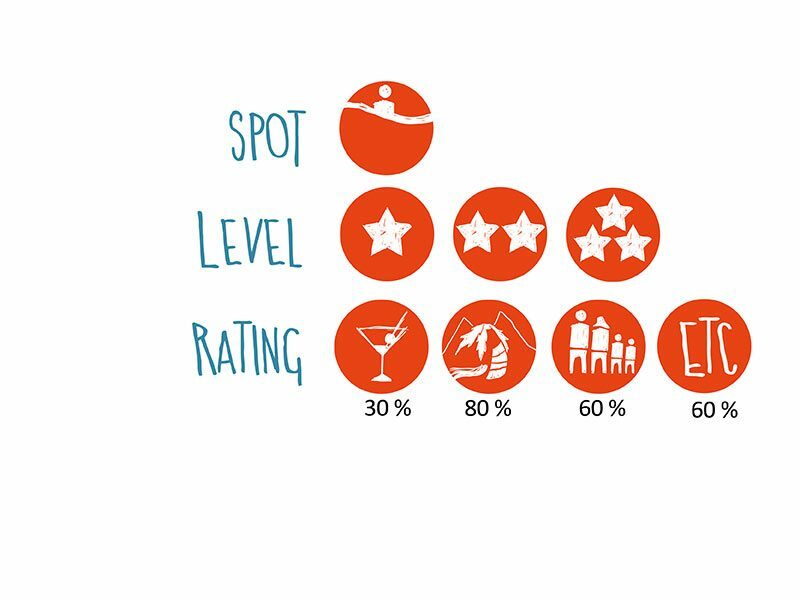 Each destination has its own charm and offers different possibilities for different levels. 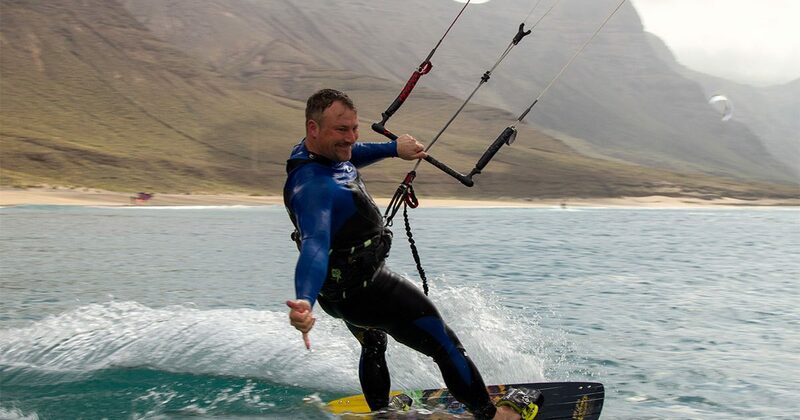 If you want to improve your skills through intensive training, you should have a look at our events for advanced kitesurfers. 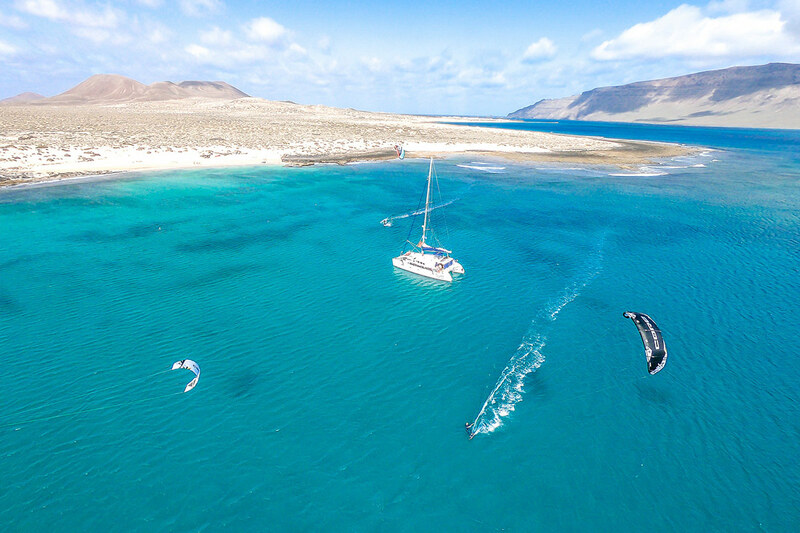 The catamaran tours offer you a uniquely special experience: You can already be part of the crossings from La Coruña via Lisbon and Tarifa to Lanzarote. Together we’ll set sail and let the strong trade winds blow us to the most beautiful spots. 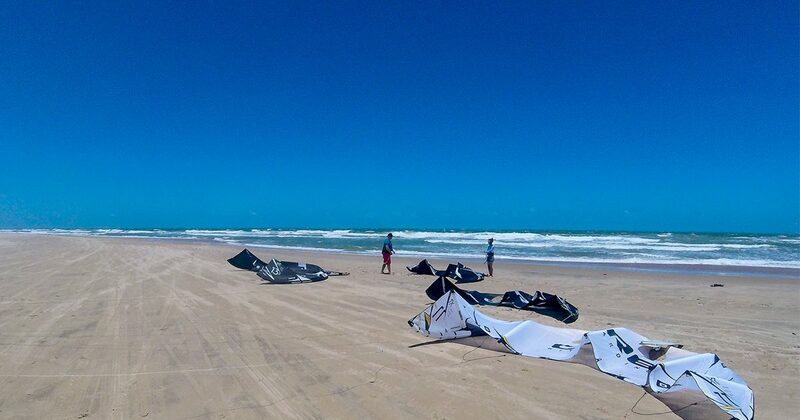 You can also book wavekite or foil courses as an option. Your cabins are located below deck of a 50-foot long, comfortable catamaran so that the morning sun and the smell of the sea and coffee lure you out of bed. You’ll find yourself surrounded by like-minded people in the KiteWorldWide Mansion, who will readily explore every secret spot with you. 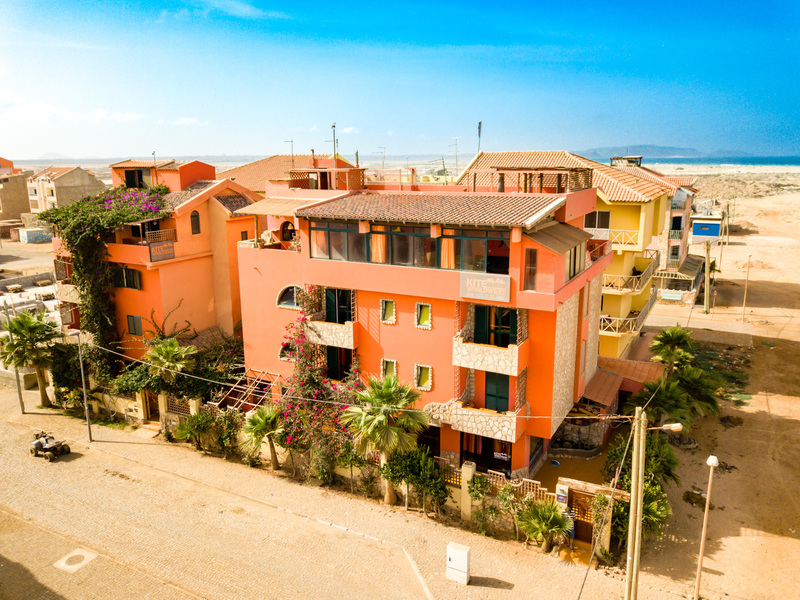 The accommodation is located in the middle of Sunset Beach, only 100m away from the beach. 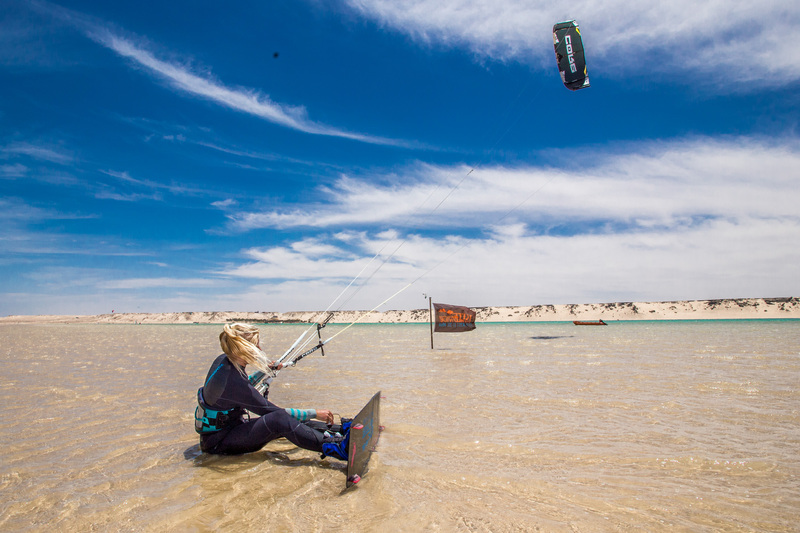 Marci and Jana from Kiteboarding Events will be at your side with words and deeds. With the two of them, you can go on the water, for a wine tasting or for the South African Braii in our Mansion. Enjoy an unforgettable holiday in Mother City. 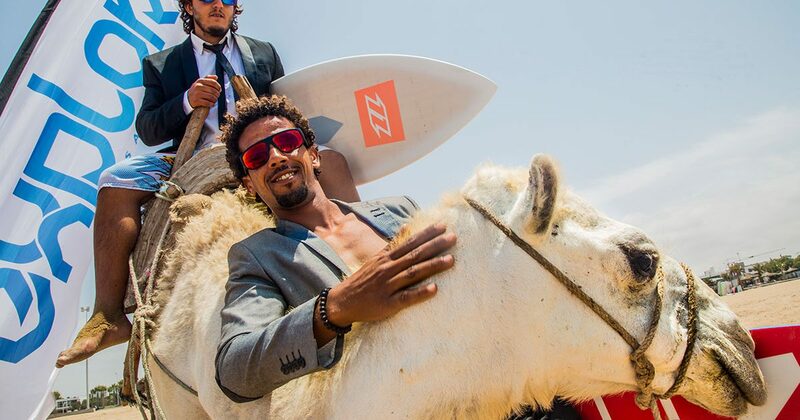 Within only three flight hours you will be in the former hippie town of Essaouira. Also known as the most beautiful old town in Morocco with many small cafés, restaurants and small oriental markets. The special thing about Essaouira is that there is no car noise at all. This automatically puts you in the Arabian Nights and allows you to wander through the small shops in peace and quiet without being constantly harassed by the salesmen. In the midst of wind and waves, you can really blow off steam on the water. 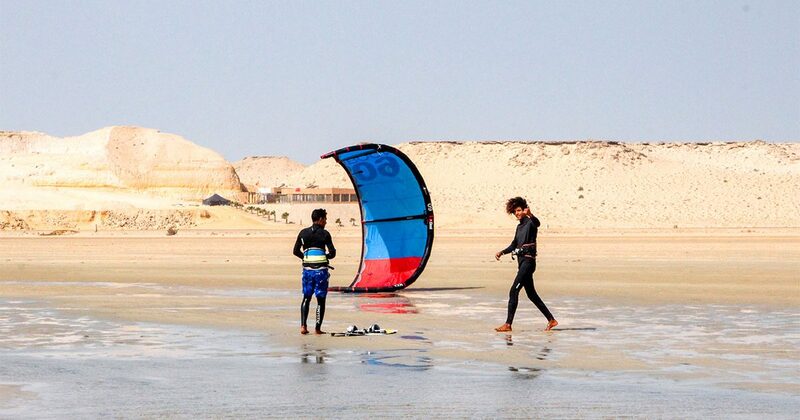 Dakhla is your all-around destination for almost 365 days a year: beginners, advanced riders, freestylers, and wavekiters alike will have their fun. The necessary comfort is also provided, as there are six mini villas in a chic boutique design on the beach. For evenings in a cozy atmosphere, there are common rooms and a lounge area. Of course, you can also chat and exchange experiences at the big table while eating together. 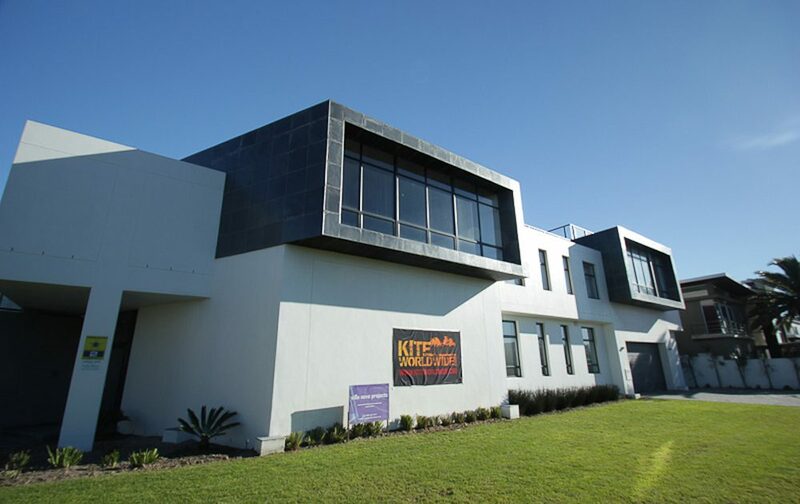 Right next doors are the building of the kite school and the pool, where you have a breathtaking view of the lagoon. 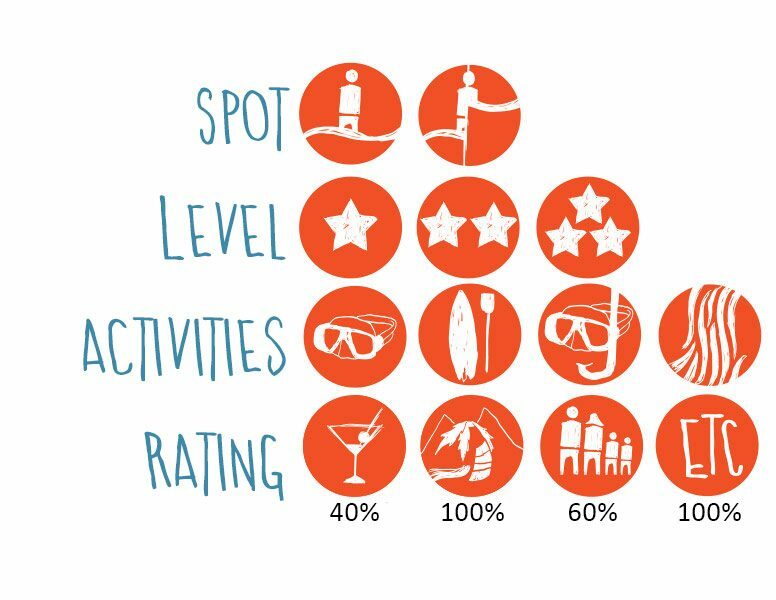 In addition to this, you can enjoy massages and traditional treatments at the new Spa and Hammam this year. The beautiful island of Zanzibar is located in the Indian Ocean and is also called Spice Island. Wild pepper, vanilla and all kinds of spices are available here, either growing wild or planted on plantations. 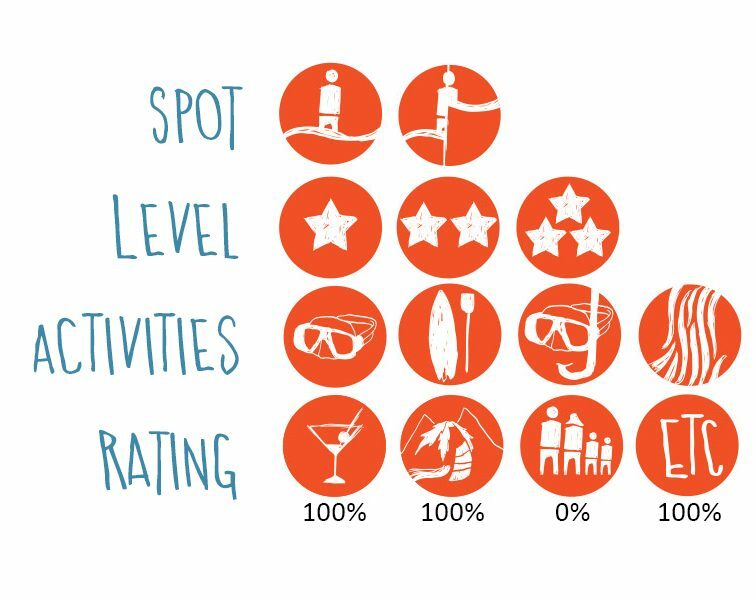 Our Red Monkey Lodge in Jambiani is the only lodge on the island with a sustainability certificate. This means that they focus on environmental protection and fair payment of the locals. In the lodge, you will also find a restaurant where you can enjoy various dishes prepared with regional ingredients. There is certainly something for every taste. 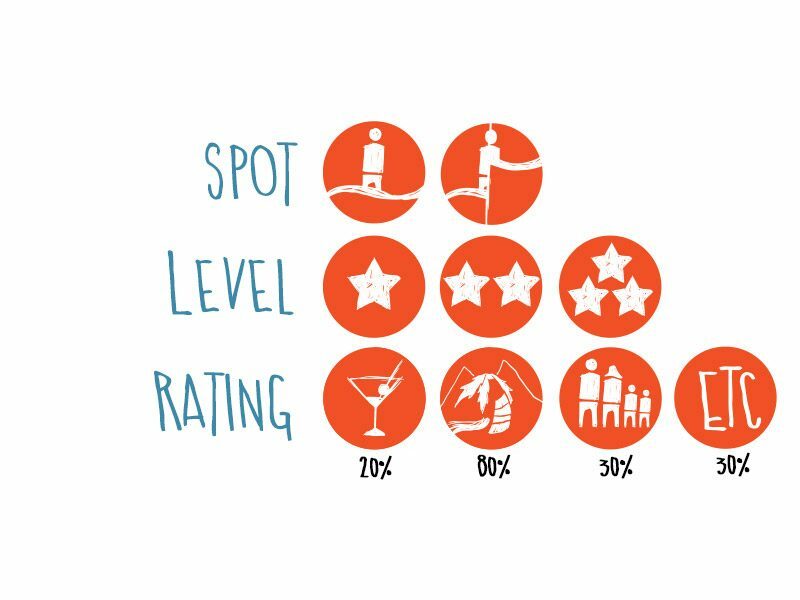 Also on the water, because Jambiani is an exclusive spot for all levels. 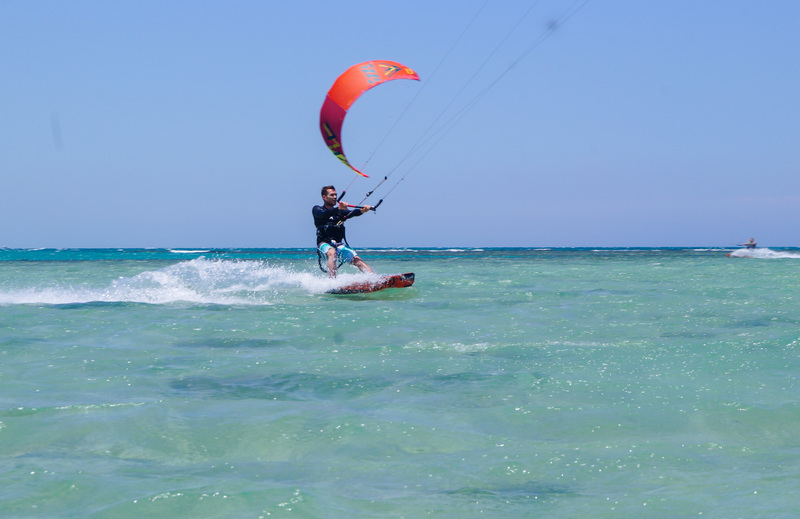 Sal in Cape Verde offers a wide variety of different kitesurfing spots; there’s guaranteed to be something for everyone here. 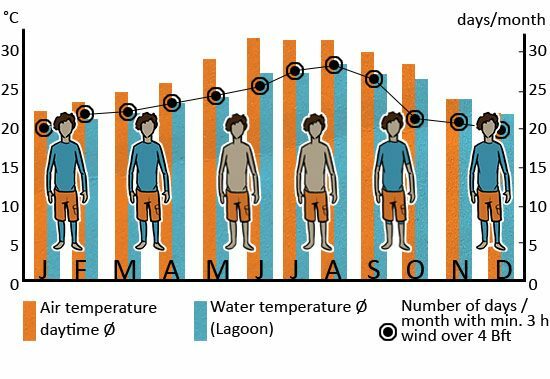 For wave kiters, there are world class conditions here, although the spot is not ideal for beginners. 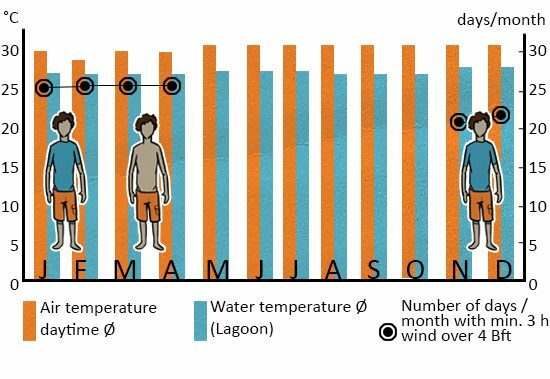 The reason for this is that the water quickly becomes quite deep. 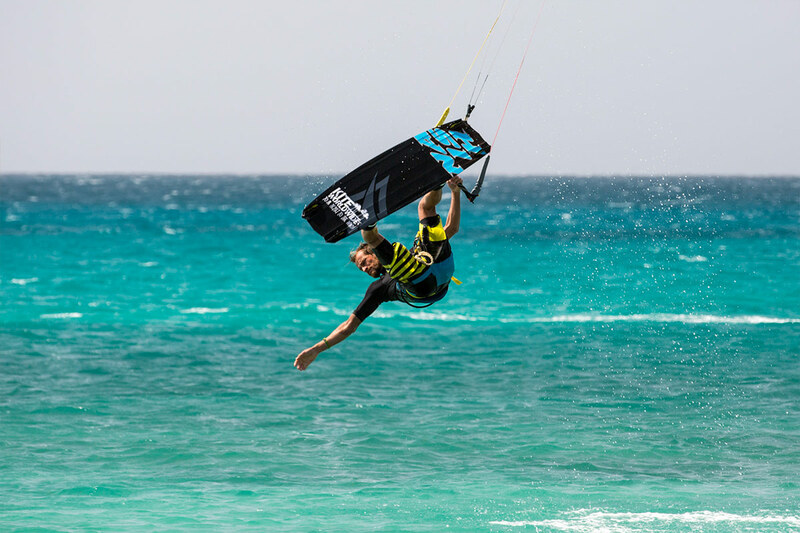 If you learn to kite under these conditions, you can do it anywhere! 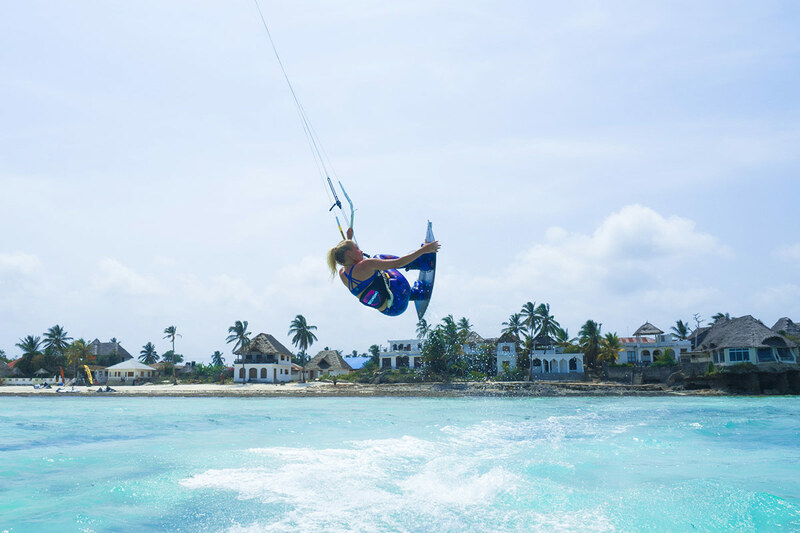 Before you jump on the board, there is a rich kiter breakfast in the KiteWorldWide House to get you started for the day. 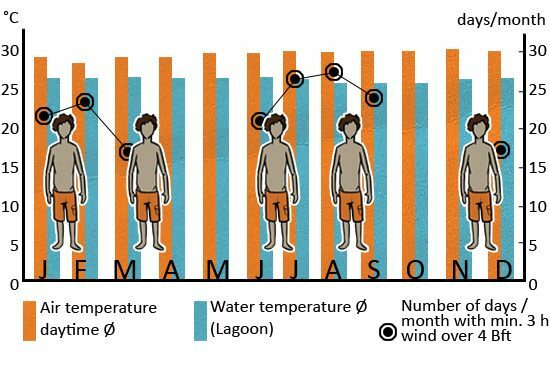 Enjoy your vacation under a roof of palm leaves, watch iguanas and geckos and let the strong wind blow around your nose. You can do all this at Tatajuba. 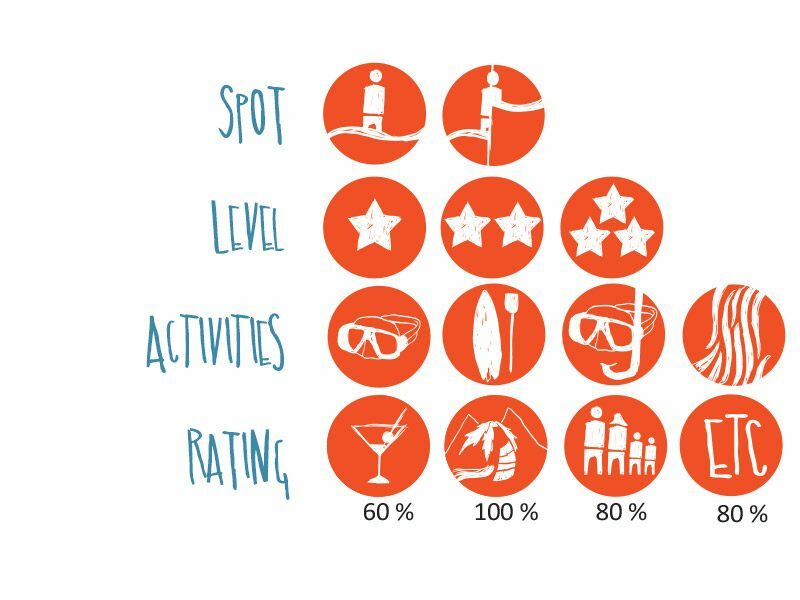 The shallow water area is perfect for beginners, intermediate and freestylers, but there is also a wave spot for beginners. So that you can have a barbecue after the sessions, we will grill at least once a week. 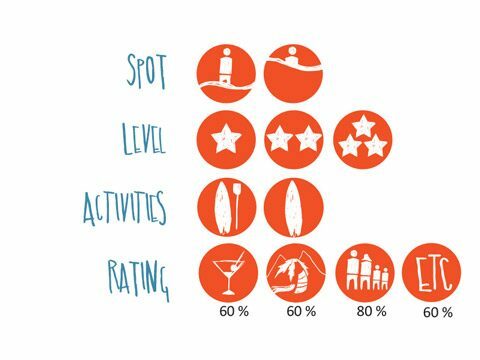 Or there are excursions to our favourite beach restaurant in Jericoacoara. 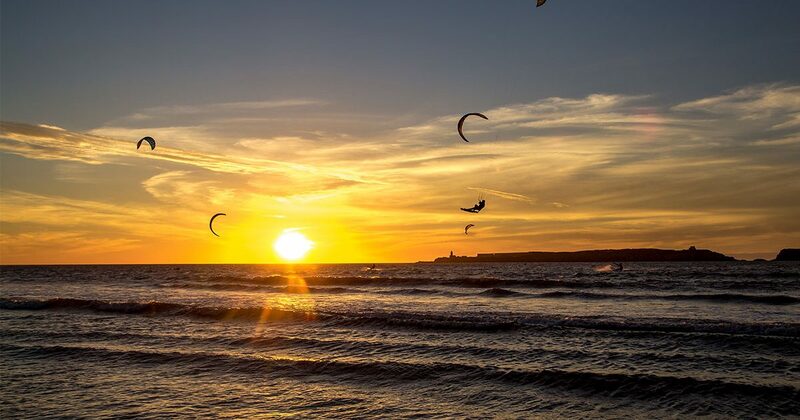 Préa, the original fishing village, is considered one of the windiest, and therefore one of the best places to kite. 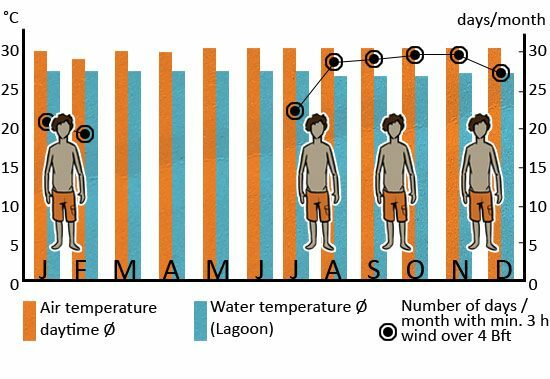 The wind constantly blows side-onshore here, just like in Tatajuba and Jericoacoara. 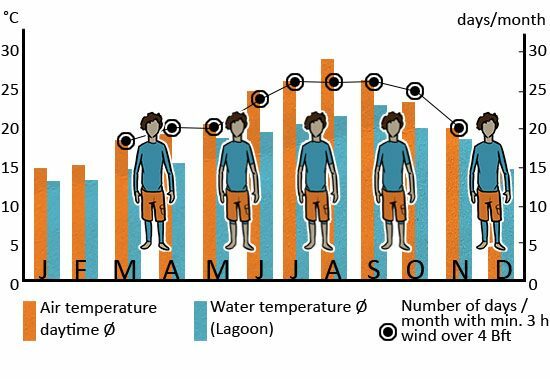 On top of that, the water is 28 degrees warm so that you can jump into the water without using a wetsuit. 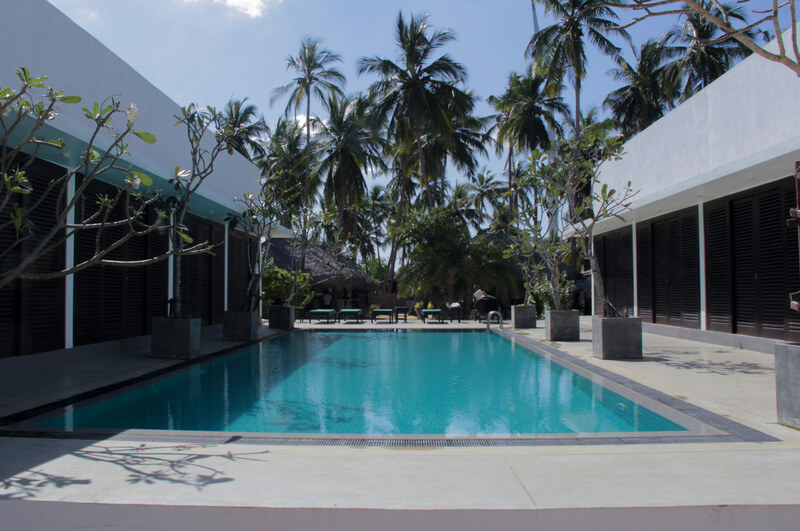 Here in Préa, you can relax at the large pool, the Chill Out Area or by visiting our own organic vegetable garden. Of course, there will be refreshments, as the hotel not only has its own restaurant but also a snack bar on the beach. 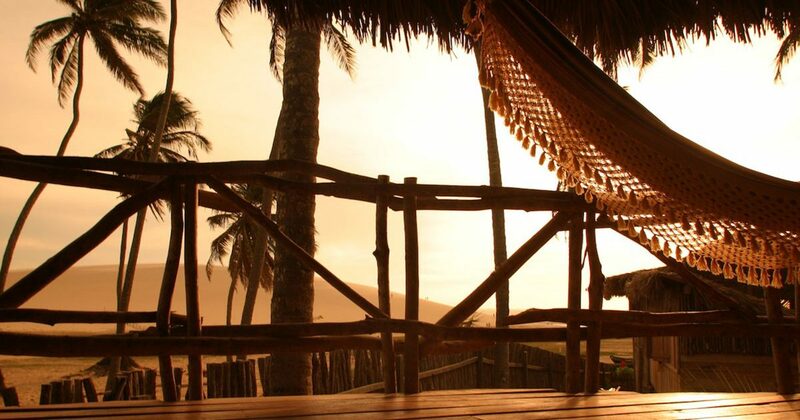 If you want to have an adventure, a trip to the nightlife of Jericoacoara is worth a try. 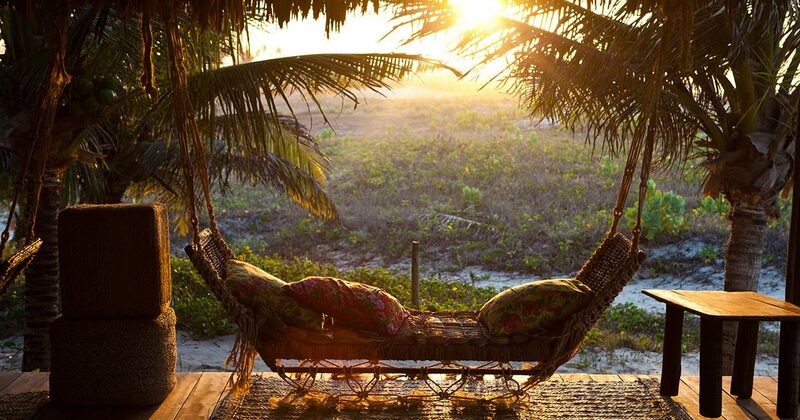 Jericoacoara, often lovingly called Jeri, is the surfer village on the coast of Brazil. 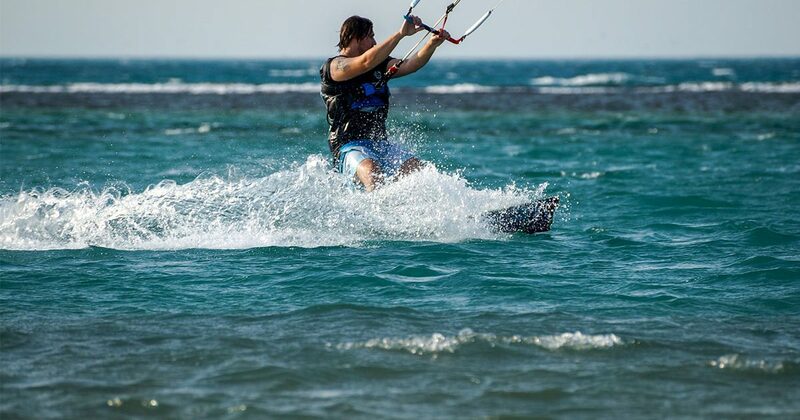 If you are looking for a variety of activities and kitesurfing opportunities, you will find them here. The place is almost entirely made up of sand and is not that spacious, but that’s what makes it so charming. 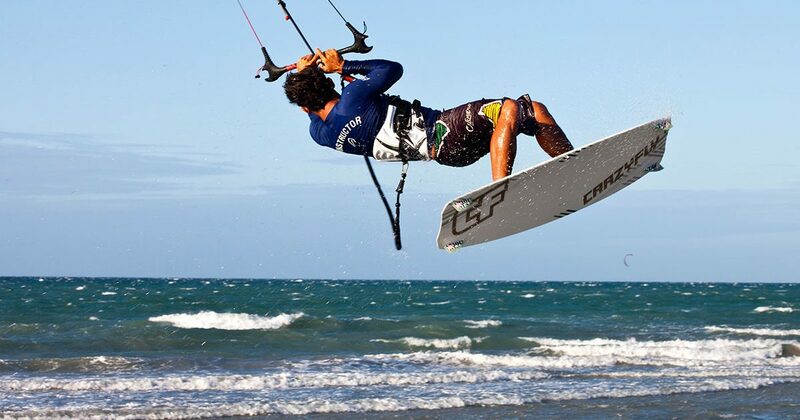 Kilometers of sandy beaches with constant side-onshore wind are waiting for you. 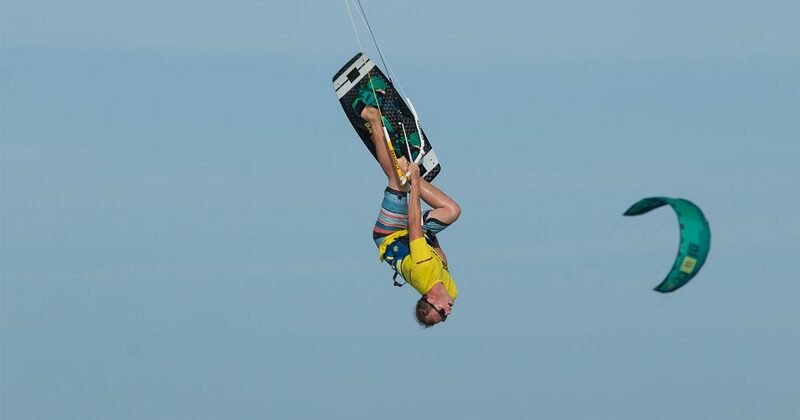 For even more fun you will find about two and a half mile downwind glassy shallow water. Here you can just kite, kite and kite! Afterward, the accommodation’s own spa area or the nearby destinations Tatajuba and Préa invite you to a visit. 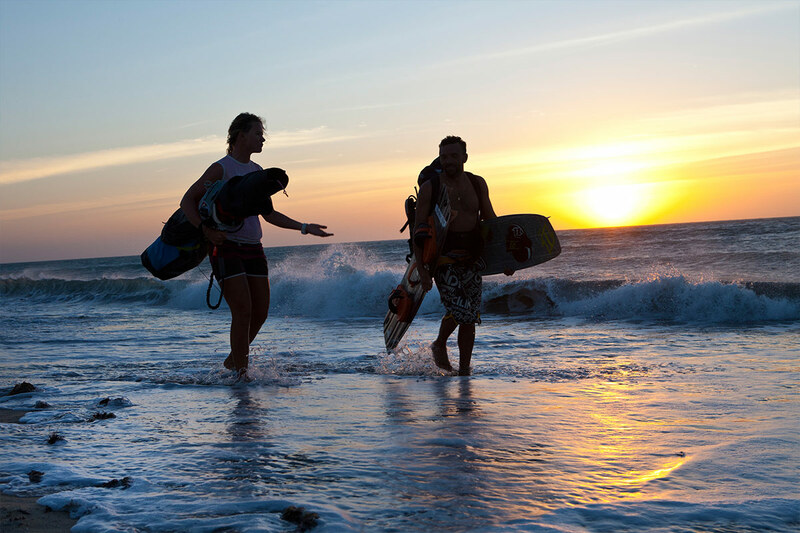 It’s worth a trip, not only for kitesurfing. 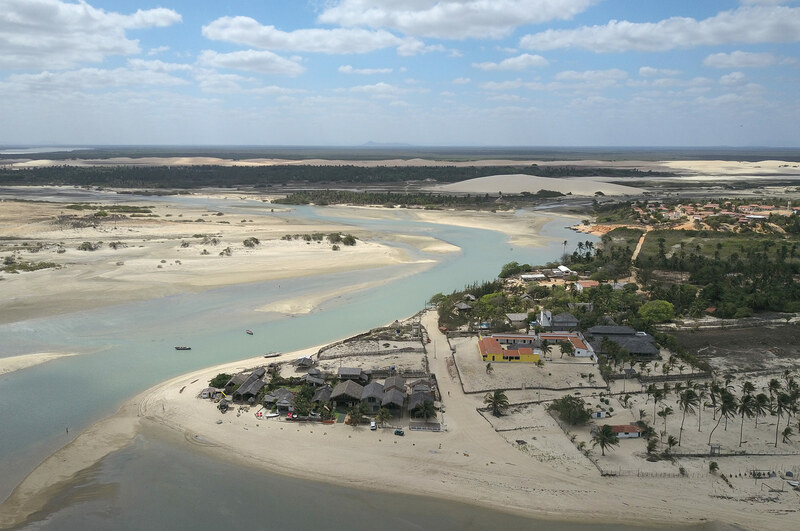 The Safari do Brasil starts in Flexeiras and ends, after a stopover in Jericoacoara, in Préa. 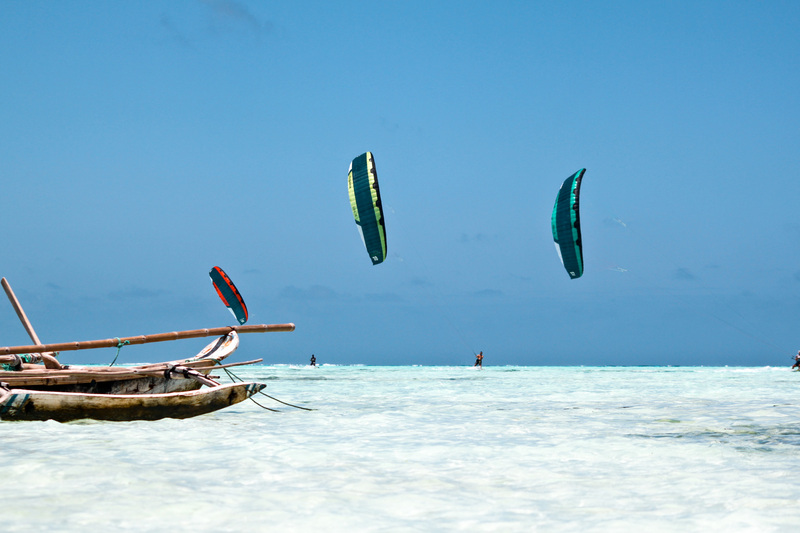 Depending on where you want to kite, you can choose between two safaris. Of course, you can also book the second safaris after the first one. 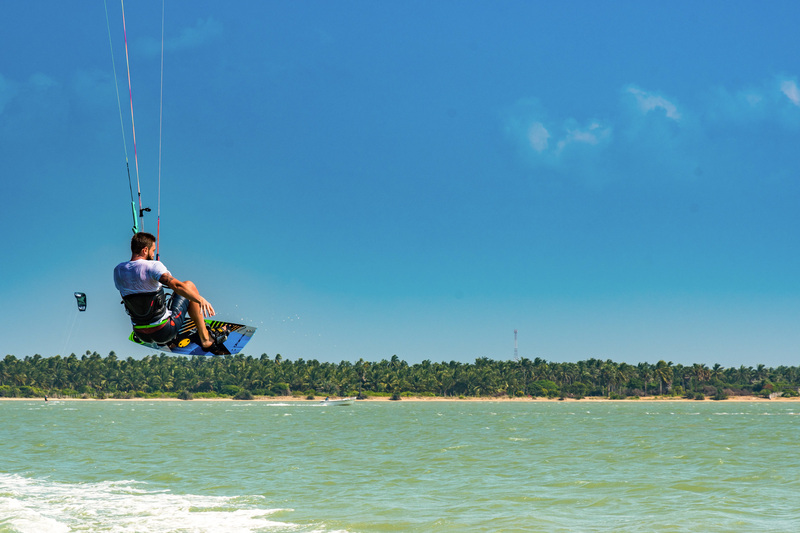 In a group of maximum 12 kitesurfers, you will experience Brazil’s beautiful nature and the best spots of the coastline in a unique way – from the water. 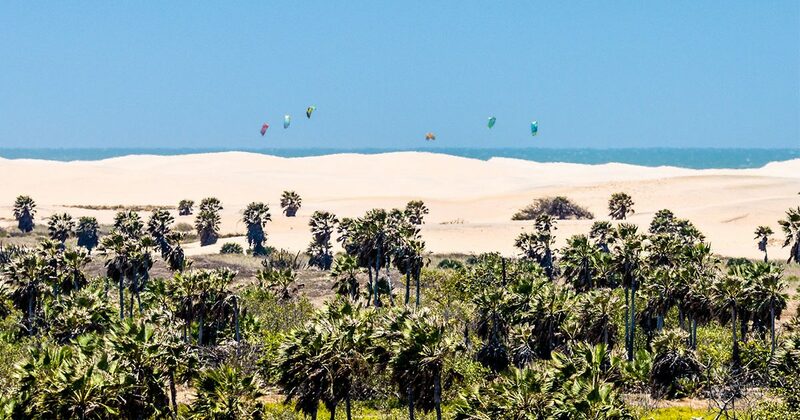 Together with our long-standing partner Surfin Sem Fim, we will again be hosting the downwind safaris in Brazil. Depending on the type of the safari you ride up to 25 miles per day on the water. 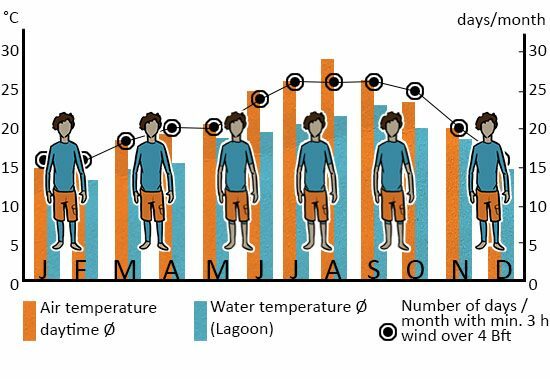 You will kite in the shallow water as well as in the waves. You should be able to ride safely. After the sessions, you can go straight to bed in one of the well-equipped beachfront accommodations. In the morning we will be back on the water again after a delicious Brazilian breakfast! 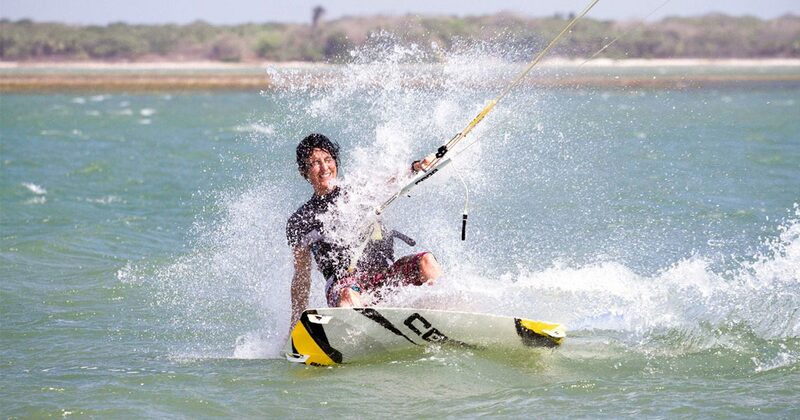 The Seahorse Bay is the perfect spot for beginners, where everyone has the opportunity to quickly achieve success. 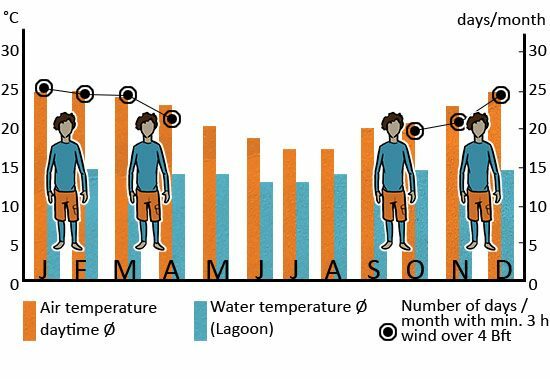 This is mainly due to the fact that the shallow water area is very large and the wind blows very reliable. 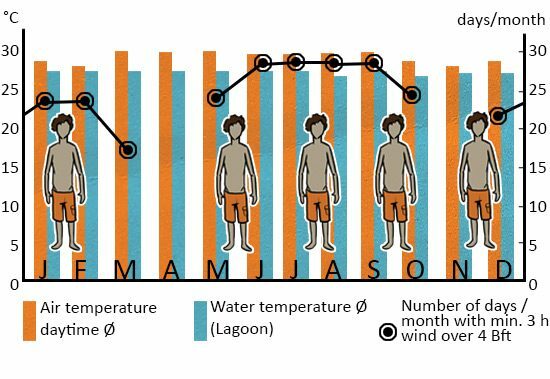 There are also two ways to get into the water so that the kiters do not get in each other’s way. The Red Sea is also known for its fascinating diving areas. 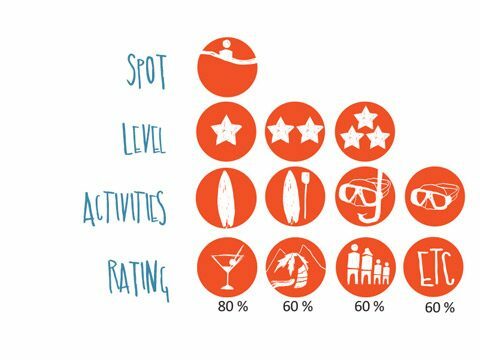 But if you prefer to relax after kitesurfing, the cozy garden offers enough space for a campfire or barbecue. 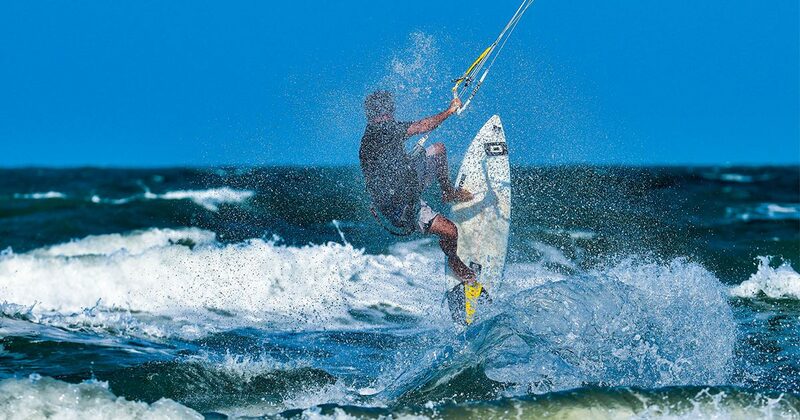 In Kalpitiya non-stop wind is waiting for you! The lodge was built by a German architect and combines German engineering with the local architecture. The shuttle will take you comfortably from your accommodation to a small headland on the other side of the lagoon. There’s a world-class freestyle spot. 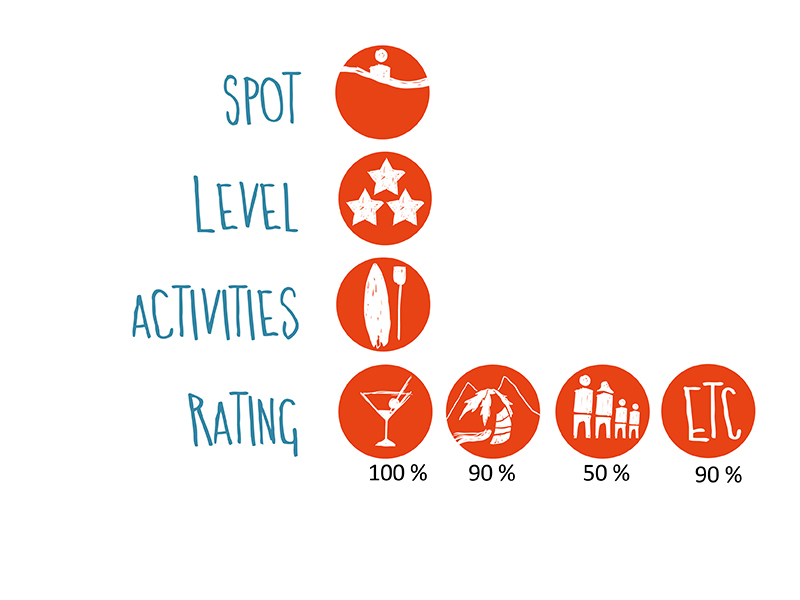 In addition, you will find a beach hut there, where you can enjoy delicious refreshments between the sessions. Kalpitiya also has a lot of sights. It is worthwhile to go to Anuradhapura for an excursion, for example. Sri Lanka’s oldest royal place is located in the middle of the jungle, surrounded by monasteries and barrier lakes.